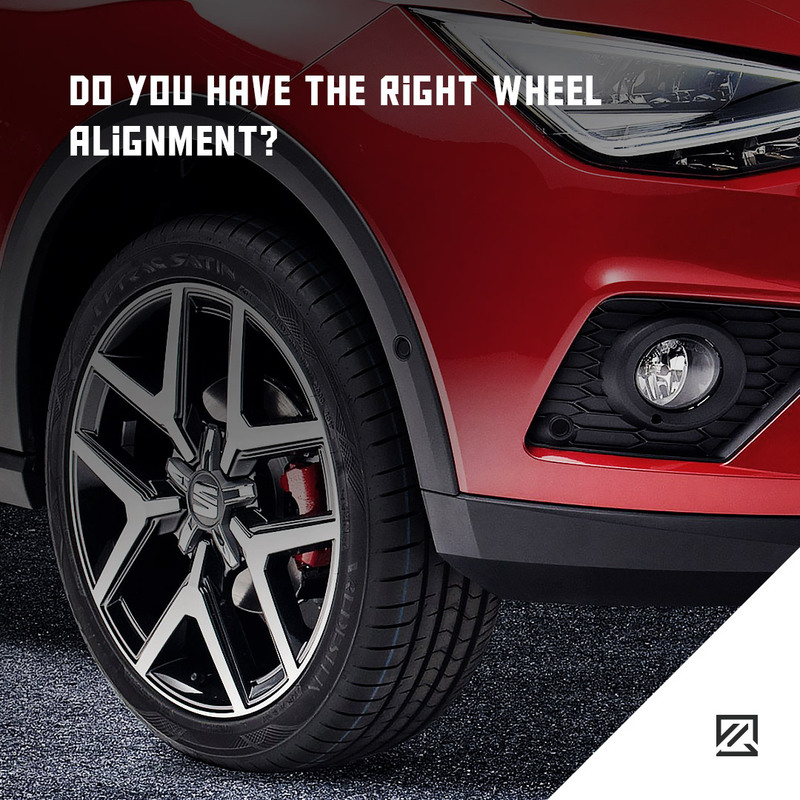 Do You Have The Right Wheel Alignment? If wheels are not in a straight line, then you may increase the tyre wear in certain parts of the tyre. The accelerated wear will mean you’ll have to replace your tyres more regularly. The most common tyre misalignment issue is excessive toe which will create uneven wear across the tyre. Your tyres need to have maximum contact on the road to provide your car with optimal performance. If the wheel alignment is off, then it can reduce the contact area of the tyre on the road. This can then reduce braking and cornering performance. You may begin to notice wheel misalignment if you find your car continuously pulls to one side. This shows the wheels are out of line and one is trying to turn a corner while others are trying to go straight ahead. Detecting this issue as soon as it starts means you can adjust your wheel alignment and reduce the wear on your tyres. With tyre misalignment, it requires extra effort for the vehicle to turn the wheels to stay straight. This will naturally increase the amount of fuel it needs to use to keep up with the extra effort. You can often improve fuel economy and maximise the power of your car with the correct wheel alignment. If you have wheel misalignment, then you may notice the car feels twitchy, jumpy and perhaps unstable. This is often more apparent at speed where the car appears to be nervous. Of course, safety is paramount, so if you do notice that your vehicle has a new twitchy nature, it is best to get your car seen to right away. Wheel alignment should be checked every year when you change tyres or rotate your tyre. Many garages will complete wheel alignment for a small fee that could save you in the long run.